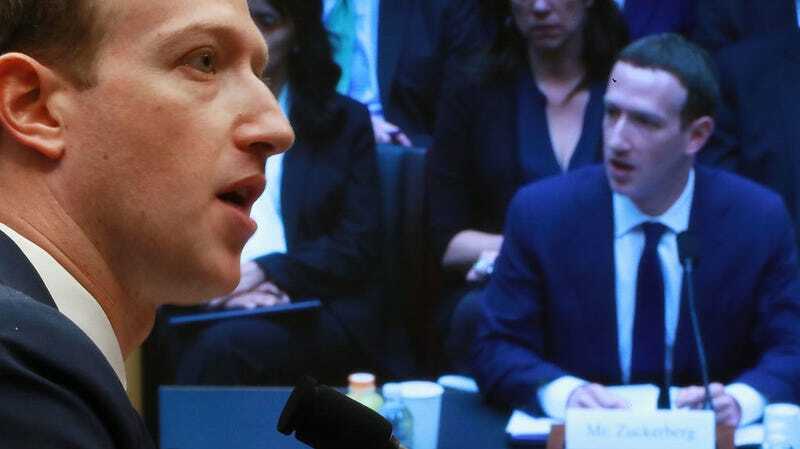 It’s been two months since Facebook CEO Mark Zuckerberg spent hours testifying before Congress, and the company has finally provided answers to the Senate portion of the hearing. The 450-page document mostly does a lawyer-dance around uncomfortable topics. But there are some revealing tidbits of information as well. When Zuckerberg took questions from two Senate subcommittees in April, he repeatedly responded that he would get back to individual lawmakers later whenever he was presented with a tough question. Last night’s release of Facebook’s responses addresses far more questions than were asked at the public hearings. Senators sent over 2,000 questions, and some went further than others: Lindsey Graham submitted just one inquiry, while Ted Cruz went sent a whopping 114 questions. Senator Deb Fischer asked: “How many categories (i.e. attributes, factors, labels, or data points) does Facebook collect about particular users?” To which Facebook responded: “As explained in our Data Policy, we collect three basic categories of data about people.” It went on to list the three broad categories that could contain any number of data points. Fischer pressed Facebook on “past reports that indicate that Facebook collects about 98 data categories,” a number that would generate around 192 billion data points for Facebook’s 2 billion users. Facebook responds by assuming the Senator is referring to a Washington Post article in which a reporter listed the data points they’d found being offered to advertisers about themselves. The response does not provide a total for the maximum number of data categories that Facebook collects on users, instead spending 365 words explaining that the number of data points it uses for advertising is different for everyone. Ted Cruz used his time in April to ask potential political bias at Facebook—specifically, he spent an inordinate amount of time discussing the Trump-supporting bloggers Diamond and Silk’s claims that they were being censored. It was embarrassing. In written form, Cruz sent 114 lengthy questions, many with sub-categories. He begins his inquiry with by instructing that a “question’s answer should not cross-reference answers provided in other questions.” We counted 63 times Facebook responded with a variation of “See Response to Question X.” It probably felt good for Facebook’s lawyers to do exactly what Cruz said not to do, but his section could easily be an ongoing headache for the company. Cruz has given pundits 114 headlines to keep pounding on Facebook’s alleged political bias against conservatives. Liberals who might suspect that Facebook gave the Trump campaign preferential treatment in 2016 can rest assured that the company claims the Clinton campaign was offered “identical support.” Reports have swirled for months that Clinton’s staff turned down embedded Facebook staffers and rejected help that the Trump campaign eagerly accepted. CBS News reports that former Clinton staffers confirmed that the campaign did, at least, turn down the offer to bring in embedded Facebook employees. Trump’s digital director and new campaign manager Brad Parscale just appeared on 60 Minutes this past weekend to reiterate how important Facebook’s help was in crafting targeted campaign ads for tiny slivers of voters. Parscale said that he told Facebook, “I wanna know everything you would tell Hillary’s campaign plus some. And I want your people here to teach me how to use it.” He then used what they taught him to generate 100,000 different ads per day and serve them to users based on Facebook’s data. Senator Kamala Harris’s section (starting on page 153) is worth reading in full, especially for the questions Facebook avoids. Harris asked what steps were taken in making the decision not to inform impacted users that their data was misappropriated by Cambridge Analytica after it was sold by a research professor named Aleksandr Kogan. Facebook says it “took immediate action” after it “learned about Kogan’s breach of Facebook’s data use policies in December 2015.” It vaguely claims that it took some unsatisfactory steps to certify that the data had been deleted, and it wishes it “had notified people whose information may have been impacted.” As for who made the decision not to inform users, what the rationale for this decision was, and when Zuckerberg learned about it, Facebook straight-up decided not to answer. This is a standard feature of the Internet, and most websites and apps share this same information with multiple different third-parties whenever people visit their website or app. For example, the Senate Commerce Committee’s website shares information with Google and its affiliate DoubleClick and with the analytics company Webtrends. This means that, when a person visits the Committee’s website, it sends browser information about their visit to each one of those third parties.